May 27, 1961 - November 16, 1990. 1964 Champion 3 year old & Horse Of The Year in Canada. Won: Remsen S, Coronation Futurity, Summer S, Carleton S, Preakness S, Kentucky Derby, Flamingo S, Florida Derby, Queens Plate, Blue Grass S.
Sire of 23 crops, 635 foals, 146 SWs. 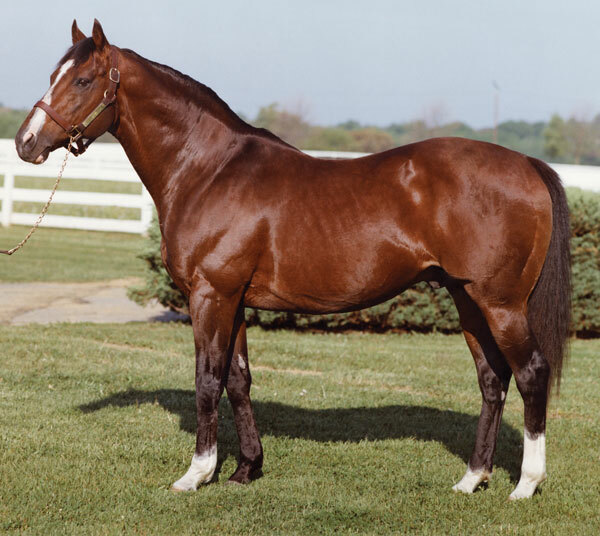 Considered the most successful sire in racing history; leading US sire list in 1971 & English list in 70, 77, 83 & 84. Became the 1st non-human to be inducted into Canada Sports Hall of Fame.